Having watched the updates on Max Woods unbelievable 100 mile adventure I woke up Sunday morning thankful that I was only racing 10K and only needing to travel 40 minutes away! 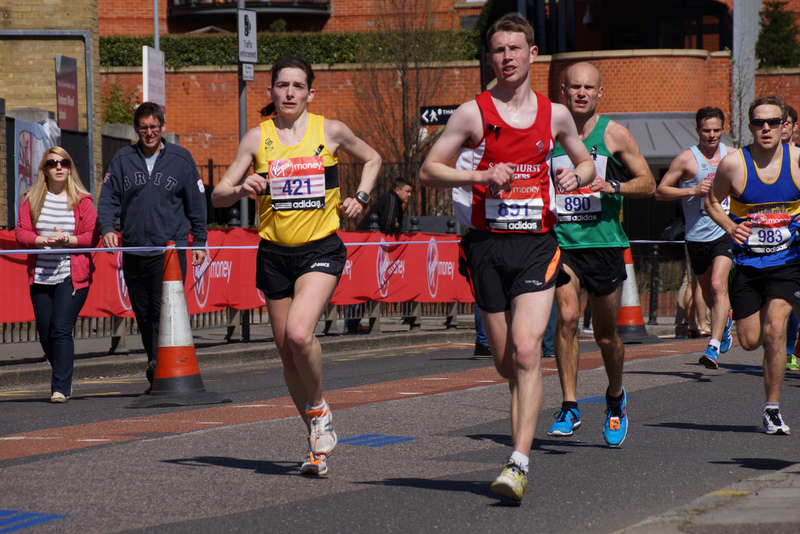 The Valentines 10K is organised by 26.2 Road Runners club based in Surbiton. It’s fairly low key event with about 500 entrants, parking is easy and in a local business park and the race HQ is in the Chessington Community College. Toilets are plentiful and the environment is warm, as it was both chilly and windy on Sunday. The start is only a few metres from the college and started promptly at 9am. The first mile is on the road heading towards Chessington World of Adventures, once passed the Adventure park you turn left, this stretch is around a mile in length and is quite undulating, certainly more ups than downs! You then turn left again towards Horton Country park, this section is about two miles in length and either flat or slightly downhill. You turn left again at 4 miles and between this point and the finish the course is undulating, it was also quite windy at this point. Just after the 6 mile mark you turn left and then left again to the finish. The field is mixed with differing abilities. The first male completing the course in 30.29 and the first female finished in 37.50. I finished in 43.33 and was 67th overall. I collected my race T shirt as they don’t give out medals. Some love hearts and made my way back to the car and the short journey home via McDonalds to try the new Grand Mac ha ha. I expect Max was still running at that time! So, in summary this was my fourth appearance and I still enjoy this race and for the price it is excellent value, free photo’s and extremely well organised.